A scarf with distinction! 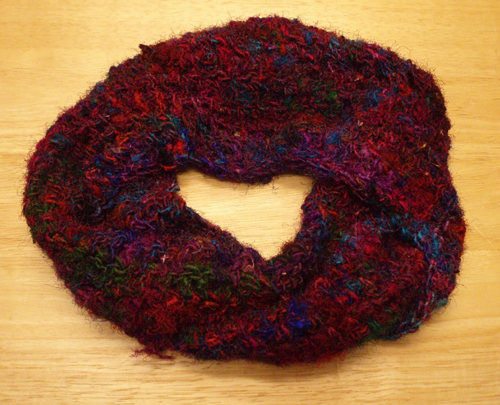 This mobius scarf is made with fair trade recycled silk from Nepal. Composed of 100% recycled silk fibers from the industrial sari weaving mills of India, the fibers are handspun in Nepal, supporting a cottage industry of spinners with each one working independently. 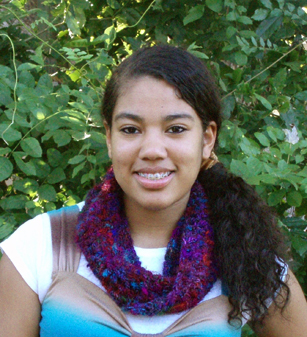 No two skeins of yarn are alike making this a one of a kind scarf. Because this is hand spun recycled silk the texture is nubby with occasional fuzzy extensions. The scarf, itself, is handcrafted in the USA.